Music streaming has been around a while (Spotify launched in 2008! ), and since then it has come a long way. Access to a vast music library, delivered near instantly via the internet, has become routine. Beyond music fans, streaming is invaluable for DJs. The ability to preview tracks or albums in full, without committing to a purchase, is a powerful tool when digging. In today’s editorial, guest contributor Steven Maude has put together ideas for how every streaming service could improve for listeners, music producers, and DJs. Some rights owners and artists are around and able to do deals, but not necessarily willing to take what the streaming services are offering. Some rights owners aren’t around. Maybe it’s not even clear who owns the rights to a work: how would these tracks then make their way to legal services? Simple problems to describe, but not to solve. For both listeners and DJs digging around, it’s frustrating. For example, on Amazon Music, I looked for Omni Trio and couldn’t find his classic 1995 drum and bass album there. The only trace of an artist — with the best part of a decade’s work in that genre — was reduced to a much more recently made remix that is, well, let’s be nice and call it “idiosyncratic”. If there’s no one to negotiate rights […], they’re also often not around to file copyright takedown notices. If you clicked on the link above, you might have the realization that YouTube does partially fill this these missing niches. If there’s no one to negotiate rights for the other legal music streaming services, they’re also often not around to file copyright takedown notices. YouTube doesn’t have everything. Scout around on Discogs long enough and you’ll easily find details of obscure records, maybe even some reviews, but not find the tracks on YouTube at all. Unfortunately, unless the rights owner can and is willing to act on those rights, the only way to hear missing music is likely via an existing physical copy. It’s a pity. There’s a lot of music that may never end up streamable, discoverable, or even purchasable. This is especially a problem for dance music in its earlier days, when releases may have been very limited. A silver lining for record collectors: this is great news if you view your collection as an investment – rarities will continue to be desirable. There’s no physical reason for exclusives like in record stores of old – time to ditch them! 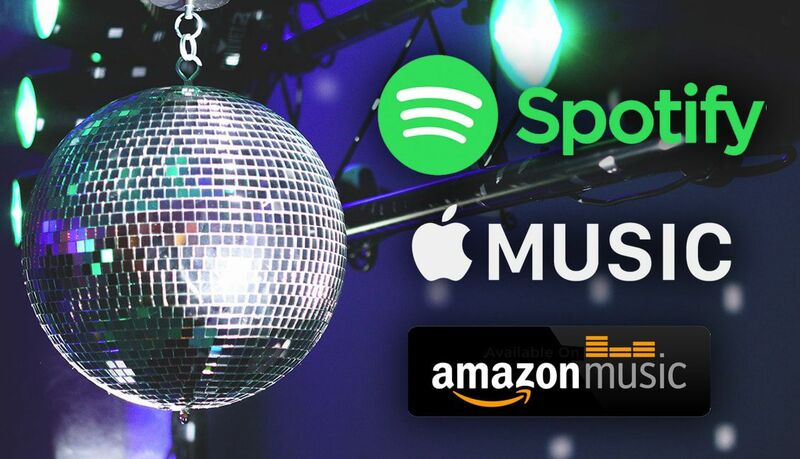 Whether TIDAL (“over 40 million songs”), Spotify (“over 30 million”), Amazon Music Unlimited (“tens of millions of songs”), or Apple Music (quoted as having 40 million songs), they all claim a similar number of tracks. This could possibly reflect similar deals with rights holders and a similar catalog. However, releases are occasionally exclusive. What user wants start managing multiple music subscriptions just to hear one album or new release? Big exclusives sometimes make their way to other services. “The Life of Pablo”, once touted as a “permanent Tidal exclusive” by Kanye West, is now widely available. Alternately, Beyoncé’s “Lemonade” is still only streamable via TIDAL. As this discussion highlights, Beyoncé doesn’t need to worry about sales or publicity, but she still may be losing out on sales as a result. Artists without Beyoncé’s clout may be more reluctant to restrict their potential audience. Lower profile artists are less likely to make listeners jump ship straight into the waters of another streaming service. Since most exclusives are timed, and the high-profile permanent exclusives will likely be played out all over radio regardless, it’s maybe not such a big loss for DJs using streaming for new music discovery. But if integration gets better with DJ applications (keep reading), mobile DJs will be out of luck if they rely on the “wrong” service. Whether discovering the original artist behind a fantastic sampled hook via WhoSampled, or searching through a label’s back catalog via Discogs, DJs have a wealth of tools to help them find music. Streaming providers properly integrated into these sites means time savings for DJs. If they can play the tracks directly, there’s no switching focus to open a streaming service. Small amounts of wasted time across multiple apps or web sites can accumulate if this is a regular flow in your music discovery. Both Discogs and WhoSampled do offer YouTube playback on their sites already. There’s not much in the way of integration of other streaming providers. But maybe we might very slowly get there. For instance, last year, WhoSampled launched Spotify integration into their phone app. What About DJ Streaming Libraries? Would you want to entirely rely on streaming for a DJ set? A more direct benefit for DJs could be more widespread use of streaming services as a music source in DJ software. Would you want to entirely rely on streaming for a DJ set? Probably not. But as a backup to maybe handle unusual requests, or to play a set where dancers want a selection other than your normal tastes, it would be useful nonetheless. Progress is being made here, again at a glacial pace. Algoriddim has had Spotify integration for a while. Serato integrates with Pulselocker, and Virtual DJ began offering Pulselocker, Deezer and Spotify this year (although it’s noted that Spotify integration is apparently limited). Rekordbox DJ also has Pulselocker available, but Traktor is conspicuously absent. MP3 went through a phase where encoders and players didn’t initially correctly handle gapless playback. That eventually got solved, providing you choose the right software. Some streaming services have failed to incorporate this function, bringing back this problem. When playing tracks that should seamlessly follow each other, you might notice a short, but noticeable pause between them. And it’s particularly noticeable for DJ mixes released track by track (DJ-Kicks, for instance) when there’s a great mix, but as the new track comes in, there’s a brief-but-awkward silence before it’s playing. Not quite the same impact. Some services have solved this. Spotify has supported gapless playback for a long time. YouTube and Amazon music don’t have gapless, although on YouTube uploaders sometimes instead upload albums as a single video). That’s a regressive step to enjoying music that should have long been fixed. Ultimately, some of the inconsistencies between streaming services may start to disappear as some of the current fighters in this match eventually tap out. There are still several competing services, but as described by Billboard, the market may begin to be consolidated. But that might be a drawn out battle. With services backed by very big players (Google, Apple, and Amazon aren’t disappearing anytime soon) and success meaning a strong grip on the music market, it may be a long time before there’s a definitive “winner”. As for the missing catalog problems, I’m less convinced these will get fixed any time soon. It’s a real loss for fans and DJs who want to delve back into dance music history. I’d love to see someone doing for dance music what Night Dive Studios do for video games: acquiring rights of older releases and publishing digitally, making those treasures available again. Speak Up! Industry leaders might be reading this article, so share your biggest wishlist items for streaming services in the comments below.